Leon Bailey is the latest young Bundesliga attraction. On January 31, after long drawnout negotiations, Bayer Leverkusen officially signed the 19-year-old Jamaican winger from the Belgium club KRC Genk for €13.5 million. Without a doubt one of the most talented players in the Belgium Jupiler Pro League, Bayer have landed a talent who could develop into a superstar. At the same time, there are also major question marks about Leon Bailey’s family involvement that could make the player a ticking time bomb. Some of the problems were already evident during the transfer negotiations. Originally Bayer planned to sign the player for the summer. But Leon Bailey’s agent, his stepfather Craig Butler, wanted an immediate move after he had a fallen out with KRC Genk over the future of his son Kyle Butler—Kyle was supposed to receive playing time with the first team, but was kept in the reserve squad. The problems involving Leon Bailey’s half-brother Kyle Butler was just the latest in a long list of episodes between Craig Butler and KRC Genk. Last summer, Craig Butler threatened Genk with the “Wet van 1978” transfer clause—a clause that allows players playing in Belgium to leave their club if they pay their remaining salary as compensation to the club—after he received an offer from Ajax Amsterdam. Then in November 2016, after a 6-0 loss to KV Oostende in which Bailey was sent off, Craig Butler accused Genk fans of racism. Genk’s biggest fan clubs countered the statements, however, saying that it was Bailey who had verbally abused fans and had called them, among other things, “losers”. Then, in order to push through the transfer to Germany, Leon Bailey skipped practice on two occasions last week. In the end, Genk were willing to end the drama, and let the player go to Leverkusen right away. The controversies, however, do not end there. Craig Butler is also understood to be involved with the Doyen Sports Group. Doyen Sports, of course, made major headlines after Football Leaks leaked several player and transfer contracts which, in some cases, highlighted third-party ownership, as well as, according to the German magazine Der Spiegel, tax avoidance schemes. Finally, there is the fact that Craig Butler was also banned for six-years from football activities in his native Jamaica. 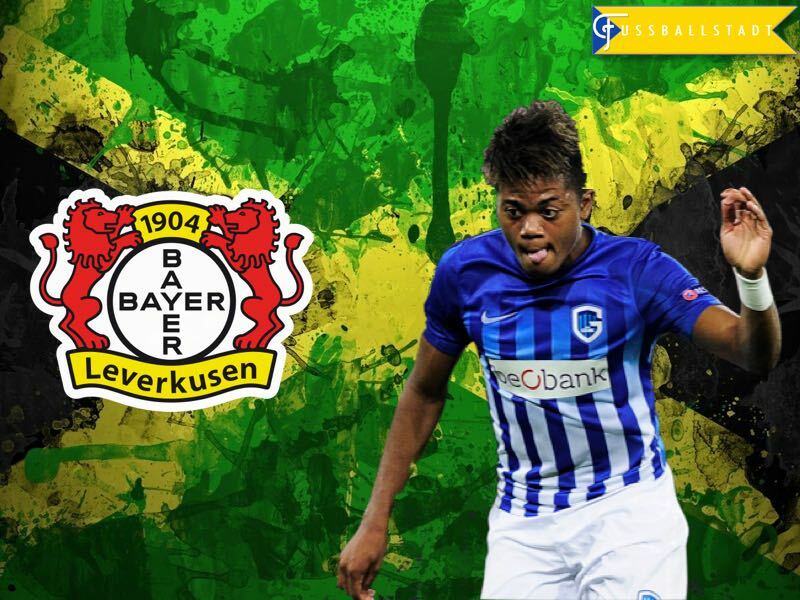 This would probably explain why the young Leon Bailey spent between 2011 and 2013 at USK Anif’s youth academy in Austria before re-joining his father’s Phoenix football academy in Jamaica. It is, therefore, safe to say that Craig Butler is a flamboyant character, a quality that is reflected in his expensive suits and hats in addition to his behavior. He also seems to be the role model for much of Leon Bailey’s flair and sense of style both on and off the pitch. Bailey does indeed have flair. His playing style is spectacular and he looks a bit like Manchester City’s Kevin de Bruyne, perhaps with the difference that Bailey tends to the spectacular, whereas de Bruyne is more efficient. Another aspect that stands out is his speed which, in combination with his technique, can make him a weapon, not unlike Borussia Dortmund’s Pierre-Emerick Aubameyang. In 2015-16, which was his first professional season, Bailey collected six goals and ten assists in 37 games. Bayer Leverkusen head coach Roger Schmidt described Bailey as a “superfast, and technical player.” Former Ajax head coach Frank de Boer, in the meantime, told the Belgian media in 2015 that he is a player without weaknesses. That is, of course, when one ignores his personal environment. Here, it will be interesting to see how Bayer Leverkusen will handle Leon Bailey’s flamboyant stepfather Craig Butler. What will happen, for example, when the Bailey feels that he has outgrown the club? Another question is whether Bailey, with his sometimes-difficult personality, can succeed in the volatile environment created by the club’s instability this season. The club has struggled all season, and currently is in ninth place in the Bundesliga. Can Bayer handle another difficult personality? Chris Williams has recently highlighted on the Futbolgrad Network that Roger Schmidt is struggling to get steady results out of his squad this season. Some of the difficulty is due to the fact that the coach, despite his outstanding tactical abilities, has failed to form a cohesive unit at Bayer. But there have also been questions regarding his character, which to some degree can be extended to members of Bayer Leverkusen’s squad. One only needs to look at Bayer Leverkusen’s recent acquisitions, and what becomes apparent is that Bailey joins a list of players that includes the likes of Hakan Çalhanoğlu, and Jonathan Tah, who forced moves away from their previous clubs in order to join Bayer. This could be of course seen as a sign of devotion towards Bayer. But players, who force a transfer once, have the tendency to repeat the manoeuvre. With Leon Bailey, Bayer have, therefore, signed a player, who can easily become one of the brightest attractions of the Bundesliga. But, at the same time, there is a real danger here that Bailey’s family input may develop into a time bomb that could go off whenever there is just a hint of a big club offering a big money transfer. Manuel Veth is a freelance journalist, and podcaster for WorldFootballIndex.com. He is also a holder of a Doctorate of Philosophy in History from King’s College London, and his thesis is titled: “Selling the People’s Game: Football’s transition from Communism to Capitalism in the Soviet Union and its Successor States”, which will be available in print soon. Originally from Munich, Manuel has lived in Amsterdam, Kyiv, Moscow, Tbilisi, London, and currently is located in Victoria BC, Canada. Follow Manuel on Twitter @homosovieticus.